A global renaissance figure debuts on Mango Alley, progressive in every sense. 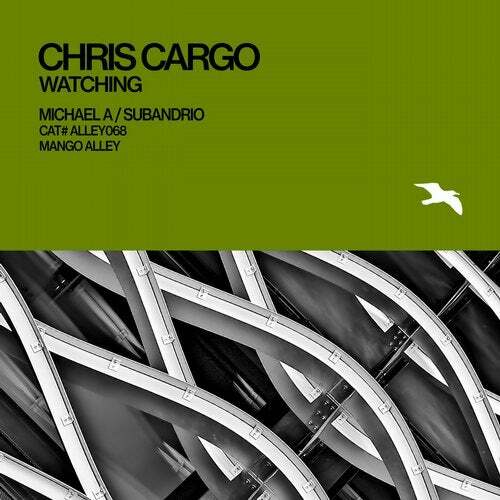 "Watching" with sparkling groove and sunlit melodic trope, Chris Cargo's sonic architecture hits sky-scraping heights, from Zurich and Paris to Kuala Lumpur and Shanghai. The regular patterns of off-beat percussive cadence hypnotise; a framework of steely beat and bass foundations provide the basis for spiralling motif and pad drone to reach upwards to dark skies. Belarusian beats dominate; a rapidly rising star hits the heights as Michael A strides purposefully through the alley once more. A sturdy aural structure supplies an intricate grid of ticking hi-hats and skilfully placed percussive elements. Rising through linear form, a swathe of white-noise effects criss-crosses the stereo spectrum. Curved metallic structures create coruscating beauty from cold steel; cold, computer-driven tools create warm and tender moments. From the land of the giant superstructure, an award-winning talent emerges. Music flows through the veins of Subandrio with parent musicians ensuring the lineage continues. Cultural influences lie in meandering chord progressions while a beautiful shimmering arpeggio flows out of windswept desert spaces creating rippled patterns that mirror the Arabian architecture. Panoramic views overlook cerulean skies and azure oceans as "Watching", the Subandrio sonic palette creates exuberant colours. Standing on top of the world watching the city below, connected without touching.